Have you been hearing this workout called F45 and wondering what the heck it is? The ‘F’ in F45 stands for Functional Training and the ’45’ in F45 stands for the total length of the workout. F45 is offered worldwide through franchising. No matter which F45 you are in you can expect to go a 45-minute High-Intensity, circuit training styled workout. The F45 founder have developed over 31 differ 45-minute workouts and currently working on adding more to the list. No matter which time of the day you go, you will be doing the same workout as everyone else that walked into an F45 gym that day. Every day throughout the week offers a different 45 minute workout. If you live in the Flatiron district of New York, New York then we have the opportunity for you to try our an F45 workout with us for absolutely FREE! 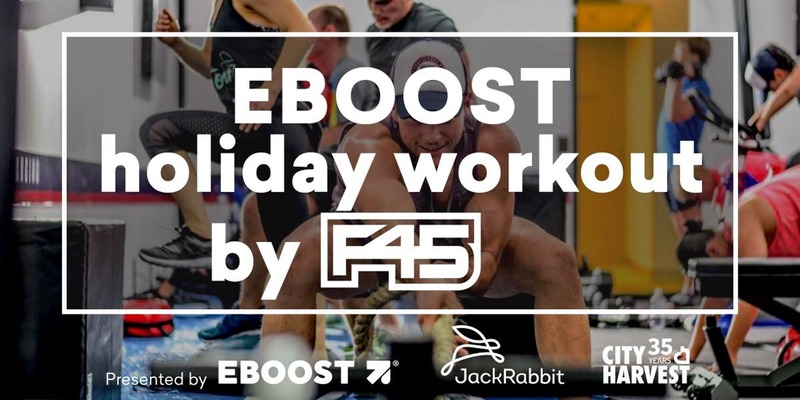 Special gift bags will be given to all participants that include goodies from EBOOST, RHONE, and F45. We are also accepting donations of canned goods for City Harvest! Check-in begins at 8:45am, the class will start promptly at 9am.